A pretty good thriller, though the end does stumble a bit. 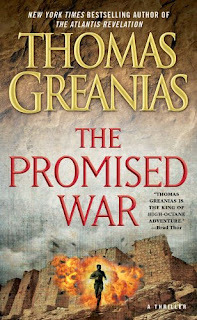 An Israei special-ops soldier while on a dangerous mission is transported back in time to ancient Jericho, where he joins the Israelite invasion of Canaan. Or is it all a hoax? Hmm... You'll have to read it to find out.